It's fun to decorate for all of the holidays, but it's really only fun if it's simple and easy to do. Most people, myself included, don't want to spend hours and hours on DIY decorations that can only be used for a small part of the year. 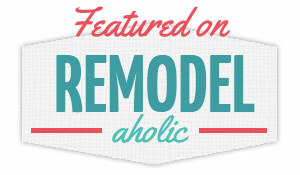 That's why these super simple wreath tweaks are awesome. I did both of these in an hour, and now our home is ready for Easter! 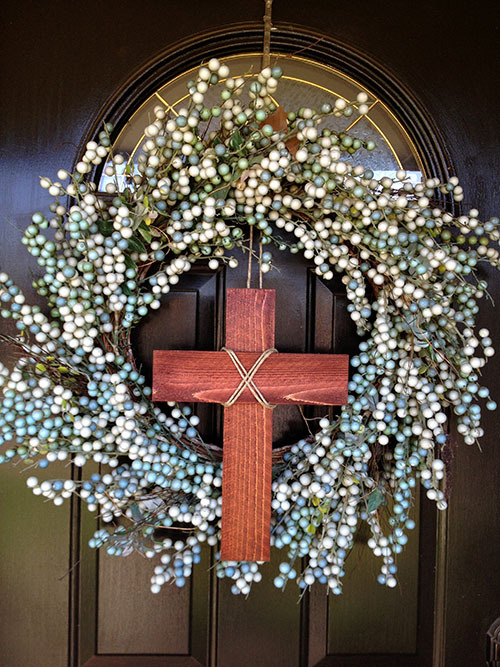 These wreaths celebrate the true reason for celebration– the resurrection of Jesus! What a beautiful holiday to celebrate, am I right?! 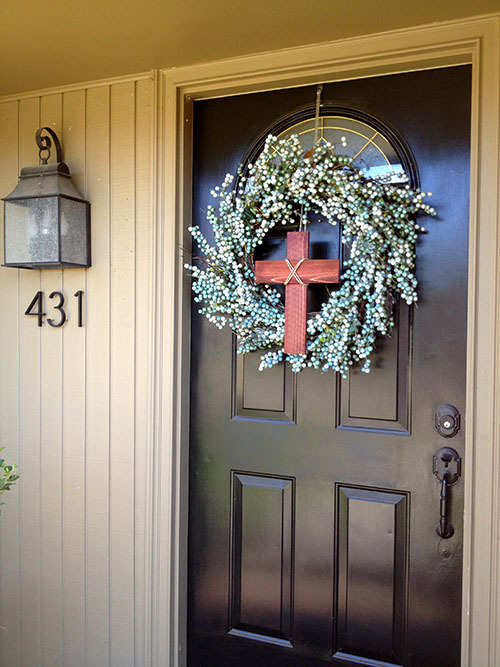 For the first one, I took the green berry wreath (from Hobby Lobby) that stays on our front door all year round and added a homemade wooden cross for this special holiday. 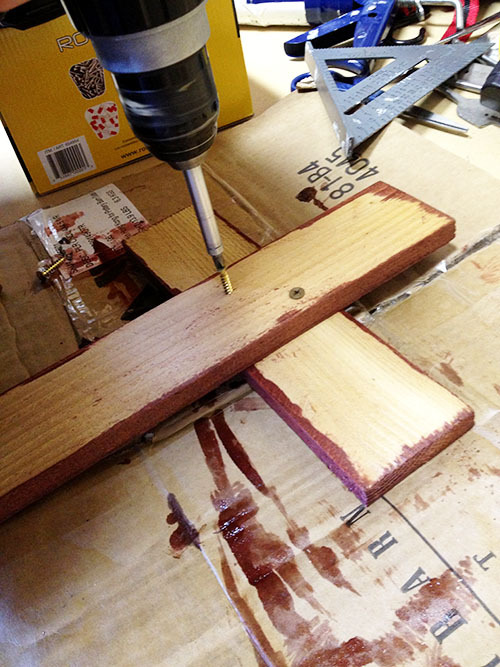 We had some wood scraps sitting in our garage, and they were the perfect size for this little cross. I didn't even have to cut anything! I stained it with red oak stain and used two screws (from the back) to attach the pieces together. 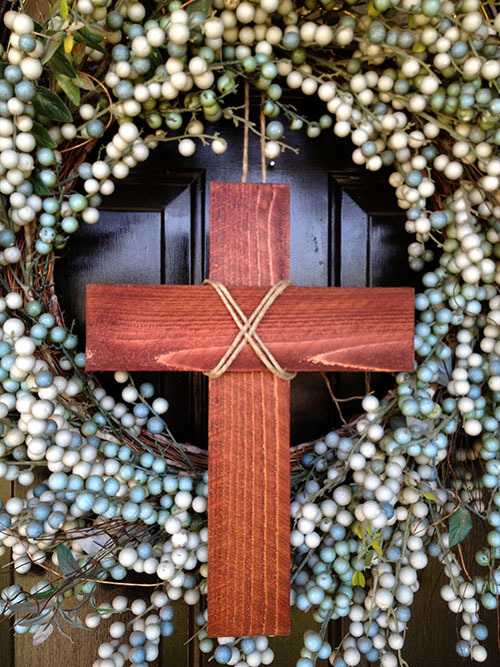 The next step was to wrap some hemp rope around the cross, adding a loop from the back to hang your cross from the wreath. SO easy! I think it looks awesome on our front door and is a nice way to mark the holiday in a subtle way. We have a square boxwood wreath on one of our interior doors, so I thought I'd do some quick, easy and free addition to tweak it for Easter. 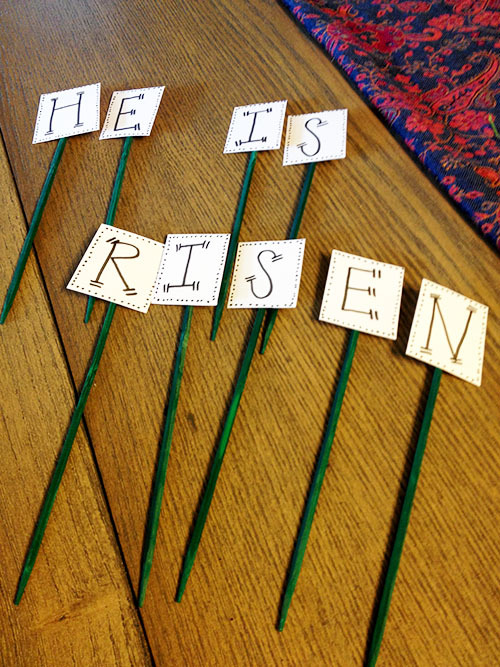 I ended up using some white card stock and floral picks to add the words "He is risen" to the wreath. 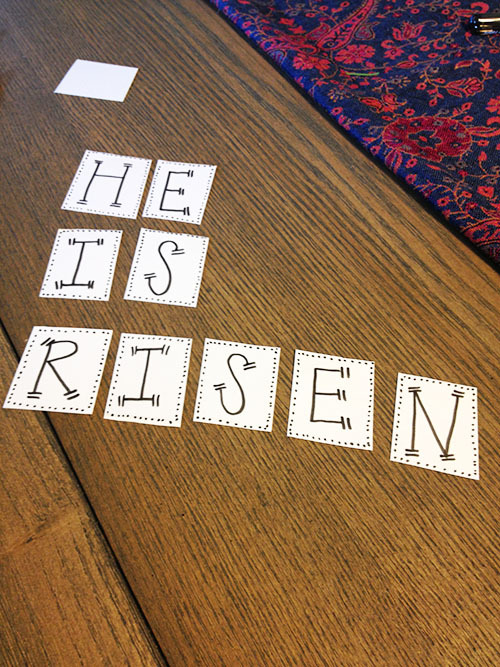 First I cut small squares of white card stock, and then I used a black marker to write "He is risen." Then I hot-glued them to the floral picks, but you could also use toothpicks. Since this wreath is floral foam, you simply stick them into the foam to spell out the words. Piece of cake, right? 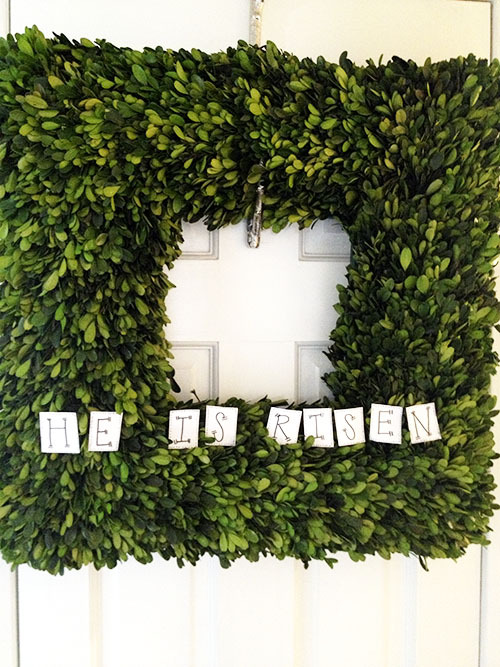 Then once Easter is over, you pull them right out and your wreath is still good as new! These projects cost me zero dollars and only one hour of my life. That's my kind of holiday decor! I'm curious, do you decorate for Easter?